blogging is HARD « Midlife Crisis Crossover! 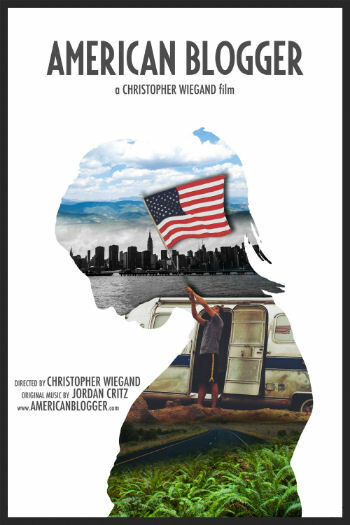 Two weekends ago saw the low-key, zero-promotion release of a professionally polished trailer for a new documentary called American Blogger, in which a young filmmaker chronicles his forty-state road trip to visit forty of his blogger wife’s blogger associates. After receiving single-digit daily traffic in its first week of release, last weekend it soared to the kind of near-viral status that every blogger dreams of attaining. I wish I could say this sudden fame was due to the trailer’s proud, heart-swelling representation of an entire internet culture. Unfortunately, it was the other kind of fame. In a world where millions vie for the attention of billions and the most innocent art projects can veer radically out of control when we least expect it, one young filmmaker would experience an apocalyptic shift that would thrust him into the burning limelight, shatter his innocent perceptions, pulverize his foundations, and transform his life retroactively from birth onward for all eternity. Along the way he would solidify old friendships, make new enemies, suffer hard choices at one crossroad after another, hold his ground against the forces of evil, stand on the bleeding edge between order and chaos, find himself the last repository of hope in a world gone mad, and scream “Vendetta!” at the infinite blood-streaked skies as the rage of a million exploding suns threatened to consume him from within. Or something like that, the way his trailer narrator tells it. 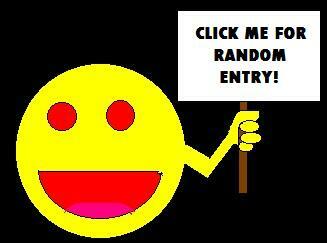 This way for an entry that will change the way you see an entire industry! Midlife Crisis Crossover was launched April 28, 2012, as a creative attempt to do something different with my spare time, my ostensible talents, and four decades of accumulated monumental mistakes and mental minutiae. Though it wasn’t my first blog, it was my first time attempting a blog without an immediate support system or preexisting audience. The MCC experience has been eight curious months of dedication, persistence, failures, sleep deprivation, loneliness, stubbornness, prayer, and occasional wild luck. Over the course of the first 240 posts I’ve discovered new peers, made new friends, learned new things about myself and HTML, improved 2% at photography, and remembered one or two stylistic rules I’d forgotten since college, with several more still repressed and yet to be rediscovered. The WordPress.com Weekly Writing Challenge has encouraged us to look back at our year and remember where we’ve been. Even before I began assembling my MCC year-end lists, I already knew which post would top most of them: “The Day an Empty Chair Ruled the Internet” was the watershed event that drew the most Likes, Comments, and Shares (and nearly the most traffic) of anything else I’ve written this year, arguably even in my full thirteen years of Internet participation, thanks in large part to its “Freshly Pressed” status that saw it spotlighted for all WordPress users to see over Labor Day weekend. [Sometimes it’s the little details that evade me. In the physical world my name is Randy Golden. As far as the Internet is concerned, this name belongs to another Randy Golden who’s been writing and publishing for several years in the name of Georgia tourism. I sign here as “R. A. Golden” out of deference to whoever he is, and as a nod to the small R. A. bandwagon crafted by my predecessors R. A. Lafferty, R. A. Salvatore, and R. A. Jones. I’m a full-time customer service rep, part-time unpaid Internet participant. I’ve been a steady, sometimes verbose content provider to Nightly.net since 2000. I was on staff from 2001 to 2010, and was the most prolific contributor to their now-moribund Front Page news section. My previous, sporadic blog remains open for perusing if you’re into historical reference. I promise the site-specific in-jokes are minimal. My amazing wife and I have been married for seven years, but have known each other for twenty-four. Our spare bedroom contains our combined bookshelves and the numerous longboxes that house my 34-year-old, yellowing comic book collection. She, in turn, has memorized the complete script to Superman: the Movie; the titles of all 178 episodes of Star Trek: the Next Generation; and the entire Book of James. One of the many reasons I love her thiiiiis much is because she knows which of those three will be most useful inna final analysis. My son is in high school and maintains a strict line in the sand between his half of the Internet and mine. 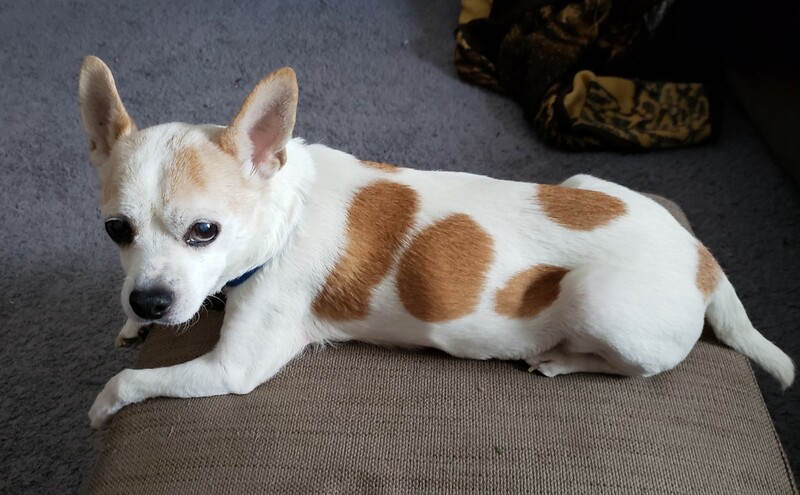 Our dog Lucky appears to be a Jack Russell terrier/chihuahua mix. I spend much time every day writing and speaking his dialogue for him as if he were a furry little ventriloquist’s dummy. The roles of Christian, husband, father, and geek should be a no-brainer to prioritize. I do what I can with what I’ve been given, but some facets lend themselves more comfortably to writing than others. I set up this blog three weeks before my 40th birthday as a means of charting the effects of the aging process and this fallen world’s degrading standards on my impressions of, reactions against, and general experiences with various works of art, commerce, wonder, majesty, and shamelessness. It’s my way of keeping the writing part of my brain alive and active, rather than let it atrophy and die. Until and unless I can discern what I’m meant to be doing with it, here I am. I’m prone to lurking on Twitter as @RandallGolden because naturally someone else was first to register my name, and they wasted it on a single 2010 tweet. Here or there, I welcome input, questions, ideas, and simple pats on the head. Views expressed herein do not necessarily reflect those of any other being, corporation, hivemind, or party line.